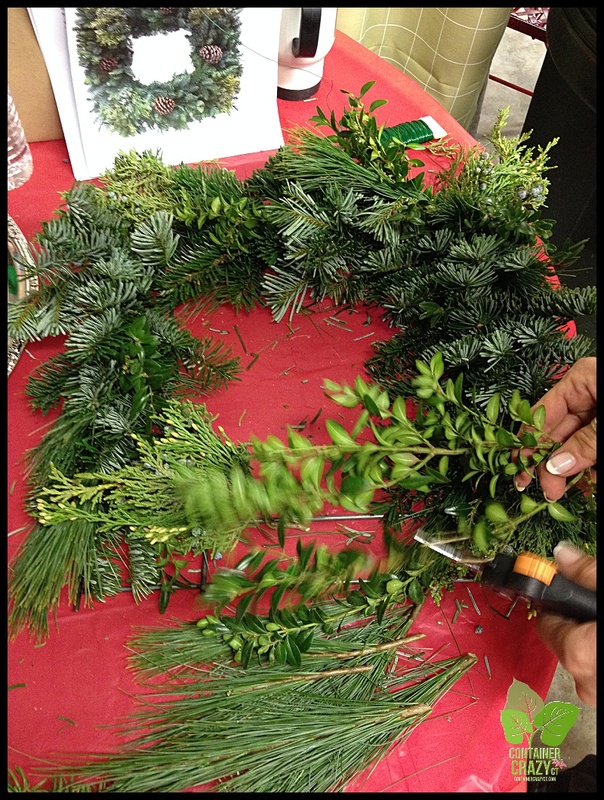 In Container Crazy CT’s annual Kissing Balls & Holiday Creations workshop, attendees have the option to make a round or square wreath with a wonderful mix of fresh greens such as Balsam, Fraser Fir, Boxwood, Berried Juniper, Cedar, Arborvitae, Holly, and White Pine. Every year, a new special featured green is highlighted! Here’s one in progress. As you can see, the attendee brought a photo along for her inspiration. Each attendee selects the item they wish to make. Other choices are a large size Kissing Ball, candle centerpiece, or cross shaped wreath. Dates: Held first weekend in December every year. 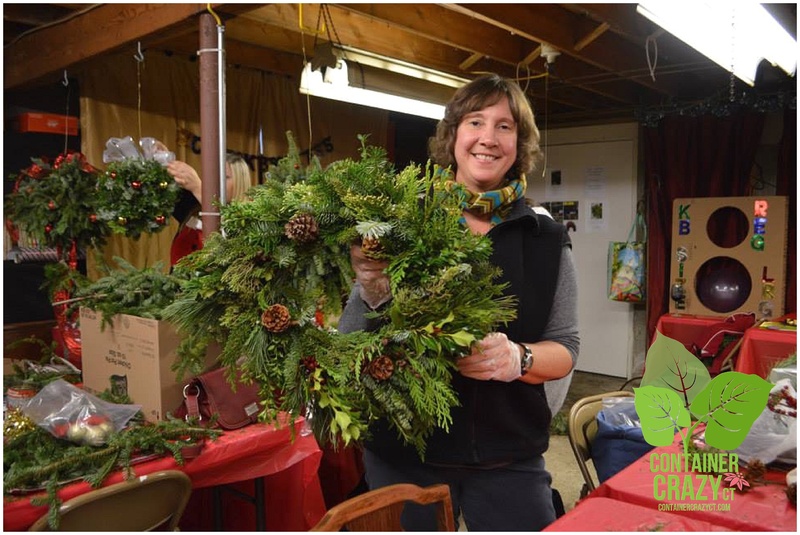 To see photos of past workshops, visit our new GALLERY page.